Hi Everyone, I am now Rosie The Roadie and I currently travel across Australia, by motor vehicle, retailing a range of products. I plan to wind this down and end up with a laptop lifestyle. I live a fairly hectic lifestyle and can be in Perth one week and Sydney a week or so later. Whilst I love what I do, I am getting to the point where I want to travel more slowly, see more of towns that just the main street, and write about my lifestyle. I have my blog of my travels and interests, along with steps and thoughts on my attempts to build an online brand and make money online. I will review the products I have tried, and promote WA. I have will also look at marketing as a means to promote other products I like, websites, townships whatever I have confidence in promoting. I have always kept a journal and have heaps of notes I have made over the years both from my research on various subjects and from my own personal life events. I started one blog and did not treat it as a business and Google and the other search engines pretty well ignored me. When some posts take more than a month to get indexed, something is drastically wrong. I came up with a name a bit more relevant to what I write about, and have started a new blog with a whole new profile. New social media. Everything fresh, straight out of the block. Here's to a whole new life. 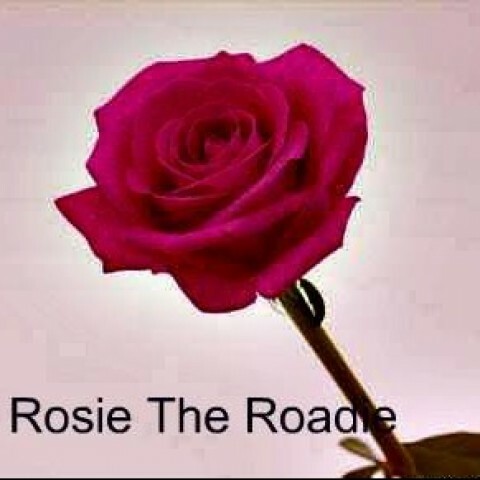 Thanks for following me, Rosie the Roadie! Thank you for the follow, and I am following in return now. I think you bring up a good point, while we are often building off our interests, we are here to build a business and need to treat it as such. If we don't, we run the risk of failing before we start. I look forward to learning more from you, and here is to your success! I want to thank you, Rosie, for having me be a part of your network and delighted to have you in my network as well. I hope all is working out well with your online business and wish you much success in fulfilling all of your personal and financial goals. Good morning to you, Rosie, my name is Ken and I want to say hello and thank you for the follow. I'm following you back. I would love to travel as you and write pages of my discoveries and share them with the world. I am sure your adventures have both good and bad memories where there is never a dull moment. I suggest you watch the live video classes every Friday night at 7 pm CDT. You'll learn some useful techniques to help you in your business. I look forward to working with you and want you to enjoy your online journey to success. Thanks for the follow, Rosie. Great to meet you. Your life of travel sound like the best of times, the worst of times. Being on the road all the time, can be difficult at times. Seems we sometimes are guessing what google want of us. Guess we are all, to some degree in that same boat. Rosie I appreciate the follow and will reciprocate. I see you are here for a few more months than myself, yet everyone is different, and I myself have been working on content more than blogs here since the niche I am in requires a lot of research, and I want to give value for sure. Wish you the best and continued success. Hope all the best for you Rose, just like Hudson said your sites will be fantastic. Hi Rose Ann, I think your blogs will be fantastic. It takes stamina to keep taking notes of your journeys and experiences and I am sure you will be well rewarded for your efforts. Love Australia, lived there in Newcastle area for 6 years now in Cyprus. Have a Daughter and three Grandchildren in Sydney and a Son and two grandchildren in Adelaide. Have a great day. Hi Rosie, nice to hear from you. I look forward to getting to know you my new WA friend. Sorry about the really long delay in responding but I am a bit slow at the moment. Trying to do too many things at once. I have left you a comment on your Rosie the Roadie website. Hi, haven't been online for a while but will send you a comment when I can. All the best to you in your endeavors to get refocused with a bunch of new goals to make you successful. I really like your determination to make this happen. Hey, thanks for following me. I have such a long ways to go. Interesting. I did a wee bit of driving in Australia a few yr back also. but tha's another story, 4 another time. V interested in hearing more about how ya journey unfolds as I'm on th same path here I believe. Jus like soo many others. All th best, gimme a ding if ya think I can be of any help 2 ya. N.
Hi Rose. It sounds like you have things going in the right direction! You have so much valuable experience to draw upon from past journals and blogs, you know what didn't work therefore now you are nearer to figuring out what works. There are many sources of information and research within the Wealthy Affiliate community at your disposal to help you along the way as you build your business. Hi Rosie The Roadie...LOL! Thanks for the follow. It's a pleasure being a part of your network. It's great to meet you and I thank you for following me. I am also an Ozzy and I once lived in Perth, where my daughter was born, and now residing in Sydney. I hope you get to slow down your work travels so I wish you much success with your niche so you can wind down that hectic schedule. Nice to meet you and thank you for adding me to your network here at WA. Good luck in all the things you are doing, and it seems you have a lot on your plate. I wish you lots of success here at WA. Enjoy the rest of the holidays. Wow you sound busy with travel and I totally understand wanting to travel more slowly - I would love to be able to do a road trip around Australia and take as long as I like - there is so much to see here ! It's amazing how you have kept journals, you have so much information to draw on for your niches and your writing. Well you came to the right place to fulfil your dreams - I wish you well and can't wait to read your success stories. I have been in here actively for one month(after a few previous meagre attempts) and am blown away by the entire system - everything is here ! My name is KerryAnn and I currently travel across Australia, by motor vehicle, retailing a range of products. (my nickname is Rosie hence the handle here). I have a blog of my travels and interests, along with steps and thoughts on my attempts to build an online brand and make money online. I have considered affiliate marketing as a means to promote products I like, websites, townships whatever I have confidence in promoting. I am interested in book writing and aim to have a range of books on various subjects based on the above. I am also working at selling private label products on Amazon. Yes, fingers in plenty of pies but hope to make it all come together. I hope to have multiple online businesses all interconnected. if you are confused then I'm not quite sure how to describe my muddled mind at the moment. I don't know quite why you are confused. You have copied and posted my profile page because? You are already on the top of your game. Pleased to meet you, Rose. sorry still lost, my about me page on here is..... about me. plain and simple. never mind must be a lost in translation thing. All good Rose Ann 1234. Sorry, I meant Kerry Ann. a little someting from another member here: Thank you! It really helped when I first started here. Your profile here will serve you well moving forward. I envy you your lifestyle. Maybe one day I will able to venture overseas more, although I did go to Hong Kong and China this year for 10 days. Loved it. You probably have loaded a photo that is portrait instead of landscape. Don't worry about it RoseAnn, I'll figure it out. You've been so kind and paitient with your help. I thank you so very much. You're quite an 'old hand' here, how is it going for you? Talk about a Whirl Wind, hope you have AC in your vehicle. What have you been promoting all across Oz? I live in the Sunshine Coast, maybe you'll blow in here some time....let me know and we'll meet for coffee. Thanks for following me, I have followed you back. love the Sunny coast. Unfortunately, I tend to stay closer to the Strathpine. I will be doing Farm Fantastic at Caboolture Showgrounds in July so perhaps may be able to catch up. You have a life full of nice projects. manage to go forward and believe it! Hi, thanks for your kind words. I look forward to a great journey together. Hello and nice to meet you, KerryAnn. Also want to say thanks for adding me to your network and I am happy to add you to mine as well. I hope things are going well with your businesses and things are coming together. All the best as you continue this journey and I look forward to connecting form time to time. Until then, have a Very Happy Christmas and a great New Year. Hi thanks. Wishing you all the best for the holiday season. I too am learning about a few other ecom courses I want to really dive into, but those will require more money so in the meantime I do a LOT of reading of my courses online until I have more money to put into it because there is so much more involved. One of my courses is private label/product brand. I switch between courses and keep going over the material so I keep myself updated with the course. I can relate as I also have an Amazon private label course too. Looking at the marketing alone has helped in my offline businesses. Hi KerryAnn and thank you for following. I am of course delighted to follow you in return. Hi KerryAnn, great to meet you. Just wanted to say hello as I’m now following you. Love the thought of one day travelling through parts of Oz as Melbourne is the first place I remember as a 3 year old. My parents emigrated to Oz in 1969 when I was a baby, but came back to England only 3 years later. I’d love to come for a holiday one day and hopefully when my online business is giving me a nice income, I will do it. Dear KerryAnn, thanks for sharing and for accepting my invite, much appreciated. Seems you're doing very well, so keep on track and let's stay in touch. Hi Rosie (or KerryAnn, which ever you prefer) and thanks for the follow, I’ve returned the favor. Your lifestyle sounds amazing, and one that would provide lots of stories for your website/online business. I wish you much success and look forward to hearing more from you. Hi Kerry, thanks for the follow, will follow you. Your life style sounds pretty interesting. Your journals will come in handy when you write your book, don't wait too long before you write that book that is in you. There is no better time than NOW. Much success in your endeavours. Keep it up with your adventures and work, It will pay off, for sure. Travelling was also my favorite way of leaving, especially when I was younger, through my sports activities. I was to Australia three times. Sydney, Melbourne, Adelaide, and some places inland. I liked it a lot. Best wishes and much success to you! You are a very ambitious young lady KerryAnn. I think of the song by a long time band in the 70s. Yuk I'm showing my age! lols! 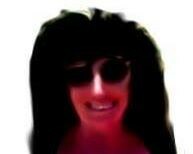 Anyways beautiful name KerryAnn, I am honored you follow me, I will follow you too! Geesh, I can't get that song out of my head. If you know of the band please let me know. Thanks! lols! Hi Frank. It was The Hollies Carrie Anne but close enough. love that one too. I pronounce it Kerryann. "Woman in a Black Dress" by the Hollies! you in a black dress. LOls! I like the Hollies, 'He Ain't Heavy He's my Brother'.....nice. Nice to read about your traveling and your ideas for your business. I joined just one month ago, building my first website, this one is for training purpose only, like a draft where I can make all mistakes I am capable of. Meanwhile preparing myself to start a real online business still looking for which NICHE I should take for my first website. Its lovely to meet another fellow Aussie, Kerry Ann. Your life whilst busy also sounds exciting. You had better come and visit my home town. Fish Creek, home to Alison Lester, Roland Harvey, Liz Farrell, and more.Also Celia Rossa, Andy Mac Pherson Bianca Stefani and more. A little town of around 200 people but big on art and literature.. I just popped in to say a massive thank you for adding me to your network. If at some point you find that you have a problem that you think i may be able to help you with then please do not hesitate to get in touch. Thank you for following me and joining my network; I've returned the compliment, and I'm following you back. Hello KerryAnn And Welcome To Wealthy Affiliate. Hello KerryAnn,♫Welcome! I am so pleased you found WA. Nice to meet you ツ I wish you a lot of learning pleasure and fun at WA. Thank you for adding me to your network. thanks Jeff, same to you. Greetings YOu sound like a very, very, busy woman All the best to you, KerryAnn! Nice to meet you! You keep pretty busy! even at midnight there's plenty of traffic through Melbourne city! Hi, KerryAnn. Many thanks for the follow and best of wishes in your business. Thanks KerryAnn for your connection. It is a big country you are being paid to see. Most people living on top of one another in congested Sydney do not know Australia goes past the Blue Mountains. Hi KerryAnn, nice to meet you on WA, hope all goes well with your new goals! I thought i covered a large area in northern NSW!! Hi Kerry and thanks for the follow. I am following u back. That is a lot of traveling u do there, lol. Thanks for following me. Sounds to me like you've got a pretty full and interesting life. I, too want to be able to slow down a little and go back to some of the places I've visited around the country as a truck driver. You don't really get the chance to really "see" what's beautiful. With a little hard work and a lot of help, I'll be able to take my wife and do just that. Good luck reaching your goals. I look forward to seeing you succeed. Thanks for following me! I hope you are very successful at promoting your products. I wish you all the best! Thanks for the connection KerryAnn. Looks like you are travelling a bit and loving it ! How very exciting. I can definitely see you doing a blog about your amazing travels and experiences. Thank you again for connecting. Thanks for the follow hope all the best for your journey with WA in your business online. Thank you for connecting. Wishing you success here at WA. Thank you for following me, I am now following you back as well. I wish you lots of success. What fabulous ambition you have - nice to meet you! Thank you for following me, Rose Ann. Hi Roseann, thanks for following me back, may your dreams come true here. I'm from Australia too, and plan to one day travel with my laptop playing golf. You are in the right place here. Hi RoseAnn, I just joined and reading your profile has definitely given me a reason to exhale. I'm extremely nervous yet I feel like I belong here. I look forward to traveling to Australia one day! Thank you for the inspiration to keep moving forward! I feel great having you as a follower! Wish you high achievements and success on your marketing venture at WA. Keep moving forward Cheers! Welcome to WA - seems like you will be teaching us some of your methods soon. Hi, Thanks for the follow, I have followed you back. Thanks for the follow, following you back. Australia is one of the places I want to someday visit. Best of luck on your endeavors, it sounds very exciting to me! Thanks for following RoseAnn. I am following you as well. Hey, Thx for the follow, I am foolowing you back. thanks for the following. It is a great pleasure to connect with you and all the great and open minded people here at Wealthy Affiliate. Thanks for the follow. Best wishes for your success. Hello Kerry, nice to meet you and welcome to Wealthy Affiliate (WA). Thank you for the follow and all the best in achieving your goals at WA. Thank you very much for following me back. Best wishes. Thanks for following and all the best! Thank you Kerry for the follow and many blessings to you here at WA. As a Premium Member you are probably aware of the AWESOME and FREE WA Keyword Tool we have unlimited access to. Hi, welcome to WA Premium. Wish you a great online journey! Hi and welcome to WA Kerry. Thank you for following me. I wish you much success as you begin your journey with us. It will be awesome. OMG Thought I had it made. Do You Get Brain Freeze?